A protest is obviously evidence of a dispute, in this case between politicians and young people, most of whom are not yet allowed to vote. It is hard for people without a right to vote to persuade democratically elected politicians. The power imbalance between the primary parties to this dispute is obvious. However, if there is, as is expected, a significant turn out in numbers, a strong message will be sent to politicians about what future voters think about their performance on climate change. The dispute has already sparked reaction from politicians in Australia, with the Prime Minister, Deputy Prime Minister, Commonwealth Education Minister and NSW Education Minister all making public statements calling for students to stay in school and not participate in the strike. The Deputy Prime Minister said in parliamentary question time that “the children should be staying in school to learn about Australian history, to learn about Australia geography“. Prime Minister Scott Morrison has called for less activism and more learning in schools. Essentially, none of these responses address the substantive concerns of the protestors, instead concentrating on the right to protest where it conflicts with the policy of compulsory school attendance. Other politicians have supported the children’s right to protest, including the ACT Education Minister. Another argument raised against the protest is that because the people protesting are children, they are essentially being “politicised” and used by adults to push a political agenda. Students have responded assertively against such claims, reinforcing that they are expressing their own concerns. This argument plays upon the power imbalance between the parties, because the people protesting are being told that their message is less persuasive because they lack capacity to form a truly independent opinion in the way that an adult can. The dispute has spread well beyond the two groups of politicians and school students who wish to protest. Schools have been divided in their support or non-support of their students attending, media coverage reveals a range of views for and against, and parents and children have been negotiating their way around whether or not they are allowed to or supported to participate. The opportunities for the application of conflict management and resolution processes in this context are infinite. Within families, the opportunity to engage in meaningful, respectful discussions about the issues of climate change action and protesting about it in school time has been taken in many families. There has potentially been enormous growth in the skills that both children and parents have chosen and developed in these dialogues. Similarly, students, teachers, parents, and school principals have all had the opportunity to discuss the issues, negotiate possibilities, and communicate boundaries within school communities. Thinking about ways to enable different points of view to be expressed, and to manage conflicting opinions, power imbalance, and mass protest must have been an enormous challenge within schools. There is always the choice to use power to say “no”, but the civil disobedience on a mass scale that might follow then also has to be dealt with. It will be interesting to see whether schools take the opportunity for a “teachable moment” to discuss protest, school attendance and climate change action by politicians and ordinary people, and effective ways to manage conflicting points of view. Politicians have an opportunity to decide how to engage with the message that the people they govern are sending them. They could decide to open a conversation, to think critically about how people under the age of 18 can meaningfully participate in political life, and to take a more collaborative approach to the conversation rather than the adversarial “for or against” approach that appears to have been adopted so far. Happy International Women’s Day 2019. You may like to flashback to our 2017 International Women’s Day post about gender issues in dispute resolution. This year, I want to celebrate the community building contributions of women dispute resolution practitioners and researchers. Our Australian Dispute Resolution Research Network is filled with wonderful women, who strive to maintain a mutually supportive, inclusive and friendly community. Women are very well represented among our membership. Many of the prominent scholars in the dispute resolution field are women – we read their work, they supervise(d) our research training, they inspire us. (NB I thought about making a list and decided it would be way too long and could never be inclusive of all the wonderful women DR researchers!). Most of the people who have supported me in my research so far are women. I am forever indebted to them for their welcome, genuine interest, time, care, kindly communicated rigour, and fabulous company. Community is best when everyone makes an effort, and in my own experience, women are particularly adept at building and maintaining community – giving and receiving so much in the process. In some areas of dispute resolution women appear to face substantial barriers. There is a ‘persistent and severe under-representation of women in the highest levels of international mediation, particularly at the United Nations.‘ By “highest levels” I am guessing the author is referring to the most prestigious and best remunerated international mediation opportunities. The United Nations has recognised that there needs to be equal representation of women as compared to men in international peace building processes. Under-representation of women in international dispute resolution has been given scholarly attention. Attempts to support women’s participation in international level dispute resolution processes include the Women Mediators Across the Commonwealth, a ‘platform for the peer-to-peer exchange and learning of women mediators from across Commonwealth countries.‘ Networks have been created around the globe, to support the participation of women in mediation as a peace building activity. Benefits of networks of women include: improved access to women mediators, best practice development, research and analysis, publication, better consultation with women’s groups, technical expertise, training, confidence building, and inter-generational relationship strengthening. The example above demonstrates that where there is a will to increase women’s participation in our field, networks can be used to build capacity, confidence, community and profile. Thank you to all you women in the ADRRN. My last blog ended with the question of how mediation might have helped Edith Hill, a 96-year-old African-American woman. As told by documentary filmmaker Laura Checkoway and journalist Judith Graham, her story includes factors familiar to elder mediation proponents. These include longstanding family conflict, loving adult children, allegations of financial abuse that were raised but not resolved through a legal process, and debate over how to best identify and support cognitively impaired and highly dependent adults. Mediation has been theorized to empower older adults in these situations by providing greater opportunity for direct participation and for warring loved ones to focus on finding the best way to provide care. In the documentary of Edith and her husband Eddie, a heartwarming story of the world’s oldest interracial newlywed couple is ended by heartbreaking separation. Edith and Eddie have no recourse in the face of a professional guardian’s authority to move Edith to another state. Eddie dies a couple weeks later. Would mediation have helped? Given that no attempt was made, any argument is one of speculation. As a relatively new specialization, elder mediation is still developing its empirical foundation. The purpose of this blog post is to help move from theory to practice by briefly presenting results from study of elder mediation pilot projects in Ghana and the United States. I first explain why the elder advocacy agency in each research site pilot tested mediation. I then briefly present from my study and findings to end with a more empirically based guess as to whether mediation could have helped Edith Hall. In both countries, the primary research sites selected were elder advocacy agencies. Each had identified mediation as potentially empowering for older adults. In Ghana, the goal was to improve the cultural sensitivity of an elder rights program. 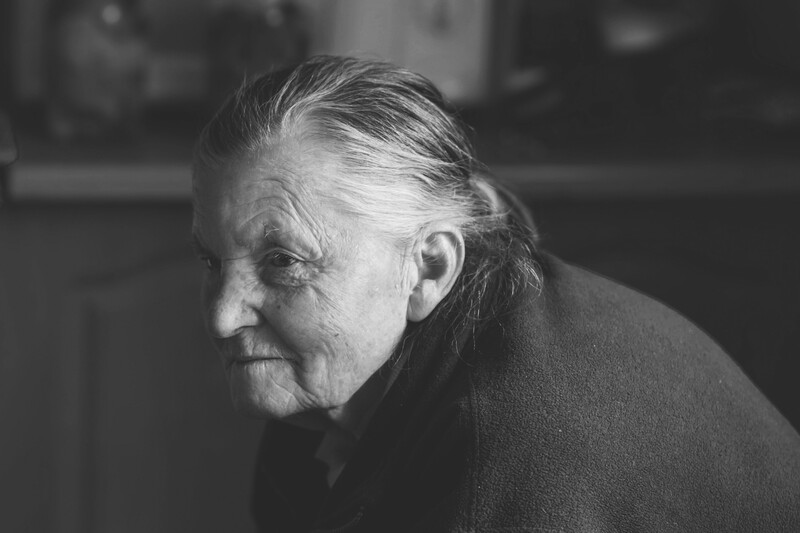 The concern was that most legal cases violating the rights of older adults would involve family, and that mediation was more culturally appropriate than formal legal intervention. In the U.S., one goal was to build from adult guardianship mediation. Was it possible to keep cases out of court through mediation referral and thus obviate unnecessary guardianship appointments? The other was to continue testing the benefits of mediation in adult guardianship cases. The U.S. elder advocacy agency partnered with mediation professionals and court services in three states with outreach efforts to potential referral sources, such as clergy, hospice workers, and geriatric case managers. A qualitative, ethnographic approach was used given the exploratory nature of both projects. In neither research site were enough cases generated to allow more standard program evaluation. My project was therefore adapted to ask more basic questions, such as how to explain the gap between professional anticipation of need and low caseload results. Over time I also questioned the underlying presumptions of an elder advocacy discourse in which chronological age was conflated with vulnerability, loss, and dependency (Crampton 2016). Was this culturally resonant with the lived experience of those aged 60+? I approached these questions primarily through the participant observation methods of anthropological field research. In both countries, one explanation for low caseload was the presence of alternatives. In Ghana, people commonly seek third parties who convene a meeting to resolve disputes without resorting to a formal legal process (Crampton 2006). However, the third party is more typically a respected member of an organization (such as a company) or a community (such as the head of an extended family) whose expertise is known through seniority and demonstrated maturity. Formal training and mediation professionalization was new during data collection (2004-5). While the elder advocacy agency was interested in professionalization, they had already provided dispute resolution intervention for older adults seeking help through a community development officer. And, they had previously resolved conflicts among older adults using their services without professional mediation training. During the research period, I followed a dispute brought by an older adult to his local chief. Meanwhile, the European donor for the legal rights program did not expand project parameters to ADR services. In the U.S., the presence of alternatives to mediation came from professionals and creative avoidance by older adults. Despite extensive outreach, professionals who worked with older adults agreed with purported benefits but felt no need to refer cases given their own expertise. Meanwhile, one of the mediation program partners found that older adults were particularly reluctant to agree to mediation. They wanted to keep family conflict private. This changed when cases went to court, and mediation became the more private alternative. In my field research, I found that people in the U.S. avoid the stigma and loss associated with growing older by refusing services specifically targeted to “elders” and “older adults.” In one case, for example, an older adult refused professional intervention and yet relied on neighbors, church members, and her therapist for support as she grew frail and dependent. She found overnight caregivers by placing an ad in a local newspaper. This reminded me of a phrase learned from one older adult, “Old age is just a number and mine is unlisted.” How are “elder” mediation services best offered to people aged 60+ who balk at identification as an “older” adult? Would mediation have helped Edith and Eddie? Answering this question might start with asking why mediation was never part of the story. At least one court and several lawyers were part of the guardianship case. Was there consideration of mediation referral? Were attempts made but ultimately refused? Answering these questions would help ground the answer from one of theory to case specifics. From my observations as a researcher, I think that mediation could have been a less traumatic way to resolve conflict over whether Edith would move back to Florida. However, this option requires consent from several parties, expertise in how to include Edith (and Eddie), and ensure that her best interests were met, and time invested to work through the emotions and practical complications of caregiving by three adult children living in different states. In other words, moving from theory to practice requires realistic assessment of how to get to a lot of “yes” answers before mediation sessions begin. Adult guardianship is a legal decision in which a judge, jury or tribunal transfers legal rights and responsibilities from adults to an appointed guardian. The intention is to provide a surrogate decision-maker for adults who cannot manage finances and/or ensure self-care. Although comprehensive data on guardianship in the U.S. is lacking, past studies have shown a disproportionate number of older adults under guardianship (AP 1987; Keith and Wacker 1994). The AP expose found egregious problems in court petitions with paltry evidence, hearings lasting minutes without due process protections, and lack of oversight. A presumably benevolent intervention lacked sufficient scrutiny. Since then, news stories continue to expose guardianship abuse within a poorly monitored system (Wood 2016) that allows exploitation. In a recent documentary, the intended heartwarming story of the world’s oldest newlywed interracial couple abruptly ends through guardianship intervention. Once under guardianship, an adult becomes a ward of the court, and loses such basic rights as choice over where to live and whom to marry. The investigated necessity of guardianship, then, should be balanced with concern for rights protection and self-determination. Could mediation have facilitated a better outcome? Mediation as elder advocacy intervention was pilot tested in adult guardianship cases as part of legal reform (Wood 2016). One purpose was to refer cases that were motivated through family conflict more than need for guardianship. Goals included helping identify less restrictive alternatives, resolve conflicts that were displaced into “custody feuds” over adult parents, and to improve family functioning to better focus on meeting the needs of older adults (Crampton 2013; TCSG 2001). A less restrictive alternative could still be a legal remedy, such as power of attorney, which targets financial and/or health care decision-making. Another purpose was to address underlying conflict in cases after guardianship appointments. For example, a guardian inappropriately using this legal authority to prevent other family from contact would lose in court and be referred to mediation. In these cases, the goal is not to supplant the legal system as much as to find a better tool for solving problems that were not best addressed through law. An adult under guardianship due to cognitive impairment, for example, might still be included in mediation with modifications, special training, and support (Barry 2013). In Australia, the egregious problems of court-based trials found in U.S. adult guardianship cases have been addressed through use of specialized tribunals (Carroll and Smith 2010). The potential use of mediation for non-legal issues, such as family conflict, nevertheless remains (Carroll and Smith 2010). Would mediation have empowered Edith to better voice her wishes and receive the care she needed? My next blog addresses this question through results from my elder mediation study in the United States, and ongoing challenges in the development of age and mediation into an ADR specialty. Carroll, R., & Smith, A. (2010). 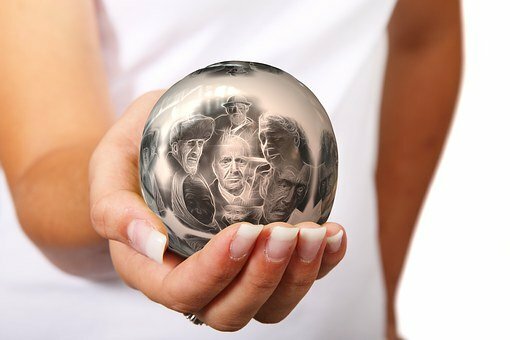 Mediation in guardianship proceedings for the elderly: An Australian Pprspective. Windsor YB Access Just., 28, 53. Crampton, A. (2013). Elder mediation in theory and practice: Study results from a national caregiver mediation demonstration project. Journal of gerontological social work, 56(5), 423-437. Keith, P. M., & Wacker, R. R. (1994). Older wards and their guardians. Greenwood Publishing Group. Kestner, P. B., & Wood, E. (1988). Mediation: The Coming of Age: A Mediator’s Guide in Serving the Elderly. American Bar Association, Standing Committee on Dispute Resolution and Commission on Legal Problems of the Elderly for the National Institute for Dispute Resolution. Wood, E. (2016). Recharging adult guardianship reform: six current paths forward. Journal of Aging, Longevity, Law, and Policy, 1(1), 5. Wood, E., & Quinn, M. J. (2017). Guardianship Systems. In Elder Abuse (pp. 363-386). Springer, Cham.